Coffeevines is an online retailer of K-cup coffee ! We carry many name brands of coffee , tea , and hot cocoa ! Order online, get deliveries right to your door, and be happy sooner. Coffee. Java. Cup of Joe. We have a lot of nicknames for the caffeine-packed brown liquid that is the life source to many. The truth about coffee is that there are a lot of things to know about it. Some of us drink coffee and do not know much more about it than it is delicious, wakes us up, and it comes from that machine over there. However, we plan to change that! We plan to educate you on the finer details about the stuff and make you a smartypants about coffee. The first thing you should know about coffee is that the bean we roast, grind, and brew actually grows inside little red berries; the beans are the pits of the berry. Some people affectionately refer to the berry as coffee cherries; yes, the berries are edible. So yes, you are consuming “fruit” when you have a cup of Joe; the coffee bean shares many similarities with the Brazilian acai berry, true story. As a national online coffee distributor, we think it is cool that we are technically distributing fruit. You are welcome for your health. Hawaii is the only state in the United States that grows coffee commercially. Coffee is commonly grown in areas of the world that are near the equator, like Brazil, Vietnam, etc. and Hawaii is the only US state that has the right climate to brew the stuff. Kona coffee is the popular coffee from the state. In Turkey, if your spouse did not provide you with coffee, it was grounds for divorce (beh-duh-tince!). This custom is not practiced anymore but at a time, it was. Still, watch out for the times when you brew some single cup coffee without making some for your spouse. The country to produce the most amount of coffee crop is Brazil, followed by Vietnam, and then Colombia. Brazil produces nearly twice as much crop as Vietnam and Colombia, on average; Brazil’s crop is a third of the crop in the entire world. It would take about 100 mugs of coffee to create a lethal dose of caffeine. Obviously, the amount differs for your caffeine tolerance and your body size, but on average, it would take approximately 100 cups. Most of the coffee enjoyed in the world is Arabica; nearly 70 percent of coffee on the market is Arabica. Robusta is at 30 percent. Robusta has nearly twice the caffeine that Arabica has. The Americano was created during World War 2 when American soldiers would order their espresso with water to dilute it; they thought the European way was too strong. Now you can feel smart when drinking coffee because of all the cool facts you now know about the beverage. 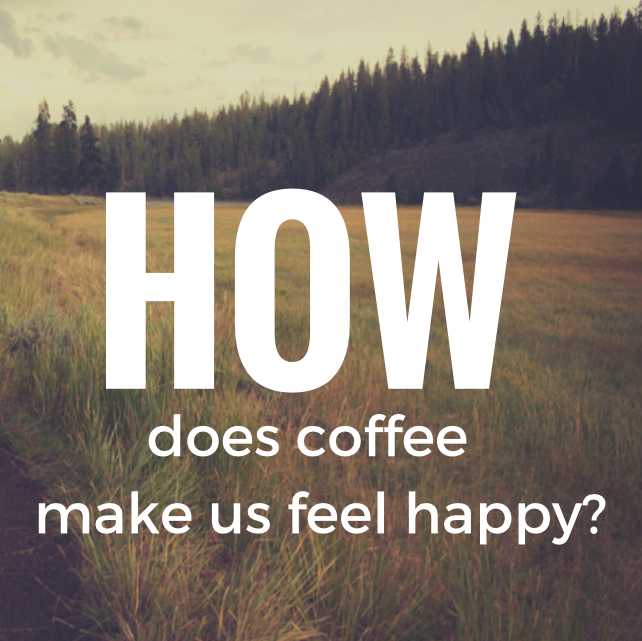 How Does Coffee Make Us Feel Happier? Any coffee drinker can recall their first impression of coffee; the grimaced face, the “eugheeww” expression, and the question, “Do I have to finish this?” However, you are a changed person! You love coffee now and even when you do not consume a cup of the delicious nectar, you still get a huge smile of relief just by breathing in the heavenly aroma. Why is this the case? 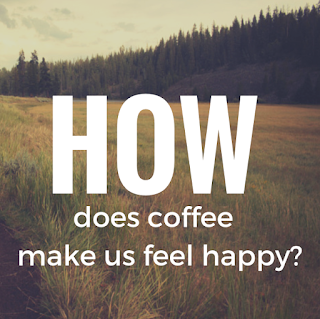 How does coffee make us happy, even just by smelling it? Scientists have known for a long time that coffee stimulates the sense of euphoria in the brain and creates that “happy place” for us. When we have that cup of coffee, our brain releases the dopamine; dopamine is a neurotransmitter in our brains that sends good vibes to the receptors. Coffee’s ability to release this chemical in our brain is a huge reason why java is one of the most consumed beverages in the world and can seem addictive for some. re. In a study from Molecular Nutrition and Food Research found that coffee can be addictive for people because it acts within the brain’s marijuana-esque neurotransmitter system. When we start our coffee drinking habits, we tend to do so because we want that good feeling more than we need the focus it gives us. As we drink more and more of the stuff, our brains compensate by adjusting to the levels of caffeine; this way, we can focus with the effects of the coffee instead of becoming sleepless zombies and having tremors that are beyond our control. Due to the brain’s adjustments, we tend to need more and more coffee as our brain’s tolerance for the caffeine adjusts and the initial effects wear off. When we have our coffee, we find that the caffeine is stimulating the brain’s endogenous marijuana neurotransmitter setup; this created a new pleasure level when we have our morning coffee, this also makes us want more than just one cup a day. Ultimately, coffee makes us feel good because it creates good vibes from all the pleasure centers of our brain. This elixir smells good, tastes good, and has been proven to even be good for us (when consumed in moderation). Enjoy your coffee. Love it. Now that you are pregnant, do you have to stop drinking coffee and other beverages that have caffeine, like tea? There is a general understanding that women who are pregnant, breastfeeding, and those trying to become pregnant should not consume coffee and tea, at least in large quantities. However, after decades of medical studies, controversy, and conflicting reports, we are still no closer to a 100 percent consensus about how much caffeine is safe during pregnancy. To be a little bit more cautious, many organizations and medical groups advise that women who are pregnant, about to become pregnant, or breastfeeding do their best to limit their caffeine consumption to less than 200 milligrams a day. This amount is equivalent to one cup of 12-ounce coffee (that also depends on the type of coffee since different kinds have varying amounts of caffeine). Ex: dark roast coffee has less caffeine than lightroast coffee. You can also do research to find out how much various foods and drinks have in terms of caffeine. Why are people concerned about consuming caffeine during pregnancy? In 2008, there was a highly publicized study that stated that women who consume more than 200 milligrams of caffeine per day had twice the risk of a miscarriage than those who drank little to no caffeine. However, not every study showed a connection between elevated levels of caffeine consumption and an elevated result of miscarriage. Findings from a study from Denmark stated that when pregnant women consume more than eight cups of coffee a day, their risk of having a stillbirth more than doubled. Some medical studies found that there is an association between heightened caffeine consumption as well as a baby’s reduced body weight; however, the majority of studies done on the subject do not find this to be true. You might want to slow down on the coffee and tea consumption during pregnancy for the reason that you do feel the effects a lot more during this time. You body is not able to breakdown the caffeine and more of it makes its way to your bloodstream. It can take two to three times as long to break down the caffeine during pregnancy versus not being pregnant. Also, it can be harder to absorb iron during this time. After giving birth, if you are not breastfeeding, then go ahead and return to drinking plenty of single cup coffee. So we're all about making the best coffee we can but we've found that one great way to make coffee even better is to enjoy it with some dessert. One of the best desserts we've found to enjoy with a Starbucks Pike Place coffee roast or maybe a Marley Talkin' Blues is the No-Bake Caramel Turtle Cheesecake. Grease the 9 inch springform pan. Mix all the brownie ingredients until the mix is smooth. Pour the mix into the pan and bake according to the brownie box's instructions. Sorry, so there is some baking. While the brownies are baking, make the caramel sauce. In a small pot, heat up the sugar with water over medium heat and whisk until the sugar is dissolved. Once the sugar is dissolved, swirl the pan until it turns a slightly darker color, around an amber color. Do not whisk this mix, swirl using the handle. Slowly and carefully pour in the cream. Whisk this until it is smooth. Remove the pot from heat and mix in the butter, vanilla, and salt. Set the caramel to the side and allow it to cool and thicken a bit. Once the brownies are done, remove the outer ring of the pan and allow the brownies to cool. In a large mixing bowl, mix the cream cheese and sugars until it is all smooth. Stir in 3/4 cup of caramel syrup and spices until mixed. Mix in cool whip and mix until smooth and even distributed. Put the outer ring of the springform pan back on the pan. Put the cheesecake mixture on top of the brownies. Chill in fridge for a few hours. Sprinkle nuts and caramel sauce over top of brownies. 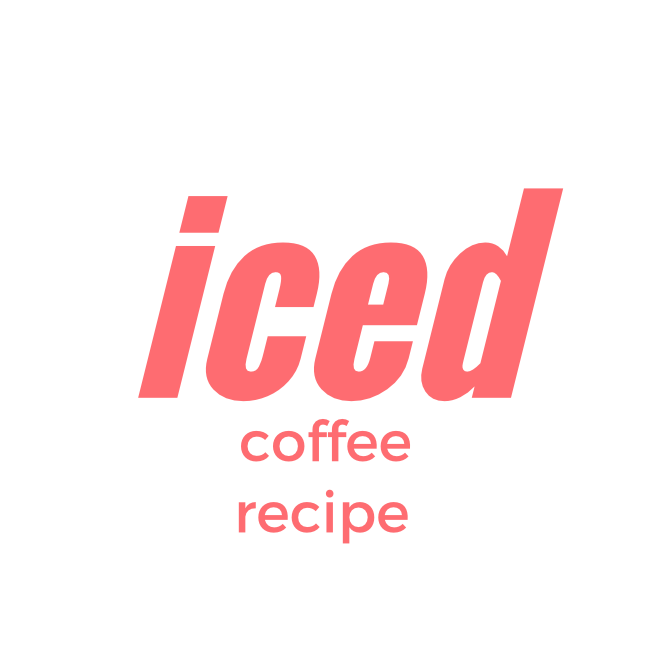 This recipe will make about one gallon of iced coffee, if you need to make more than that, then just double the recipe. This coffee is perfect for any reason you want iced coffee, especially when it's just a little too warm for hot coffee. It's time to be your own barista and make some incredible iced coffee that will wow your friends! Just keep it in the fridge and have your coffee cold and delicious whenever you want it. Pour the ground coffee into a large bowl or pot that is capable of holding heat. Add in your 8 cups of boiling hot water. Stir in the coffee grounds and let sit for approximately five minutes. When using the french press, put the coffee mixture through the press in a few smaller batches. Once the coffee has gone through the press, throw the grounds away and mix in the 8 cups of iced water. Put this in the fridge. When you want to serve the coffee, fill a glass with ice and pour in the coffee. Add in 1-2 Tbsp of sweet condensed milk (this is to taste so it is really up to you). Questions or comments? Feel free to reach out to Coffeevines on Facebook or Twitter. 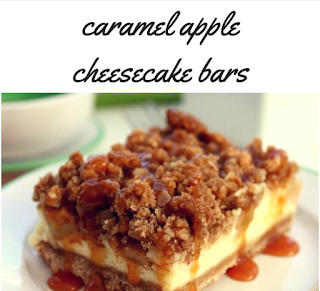 You are going to love indulging with some of these caramel apple cheesecake bars with your morning coffee and you will not be disappointed. These will send you into food heaven. 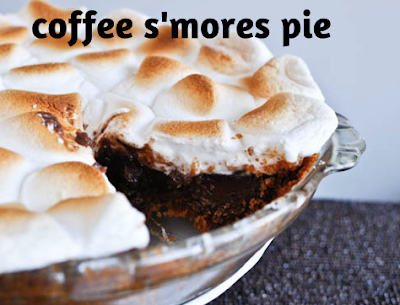 Coffee S'Mores Pie Recipe. Need We Say More? It's summer and that means s'mores! "S'more what?" "You're killing me, Smalls!" Also, coffee. It is the incredible combination of the two best things on earth. Aside from having coffee in the recipe, this pie goes great with a dark roast coffee. 9 graham crackers. Smashed finely. Mix the graham cracker crumbs and the other ingredients in a mixing bowl. Once mixed, spread this mixture into a pie tin. Push until firm. Place chocolate and butter in a large mixing bowl. Bring the cream, the coffee, and 2 tablespoons of water to a boil in a small saucepan. Remove the saucepan from the heat and let steep for about five minutes. Strain the cream mix through fine, mesh sieve into the bowl with the chocolate and butter. Stir the mix until it is all melted and smooth. Pour this into the chilled crust. Use an electric mixer on medium speed. Beat the egg whites in a medium sized bowl until they are light and frothy. Add in sugar in 4 additions to avoid sugar rebounding everywhere. Beat for one minute with each addition. Beat egg whites and sugar until stiff and glossy. Spread the meringue over the coffee ganache. Feel free to make it decorative! Use a kitchen torch to brown the meringue a bit to give it that campfire roasted marshmallow look. Keep the pie chilled. It can be made 8 hours ahead of time.